For roughly a century, France has been using the alternative AZERTY keyboard layout on typewriters and computers. But it doesn’t help people type in French easily, and the country has had enough. Earlier this week, France’s ministry of culture and communication announced a plan to standardize the French-language computer keyboard layout in an effort effort to protect the language. The trouble with the AZERTY layout is that it makes it difficult to use certain accented characters. The ministry believes that people aren’t aware of the methods needed to type these and their use has decreased drastically — leading folks to think that accents aren’t necessary. 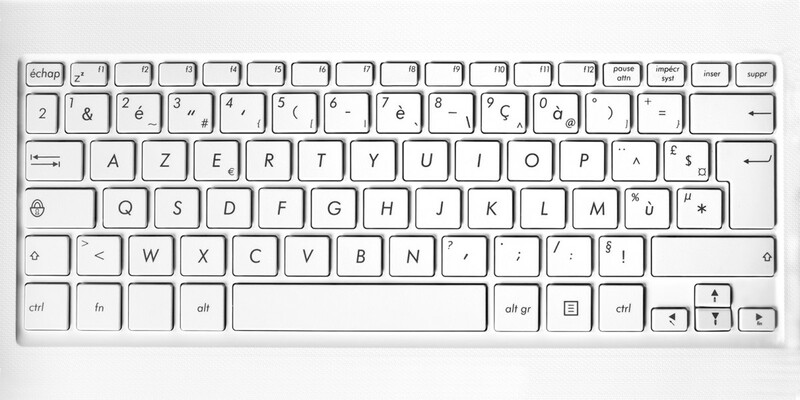 The layout is missing keys for frequently used characters, such as a Ç – a capital C-cedilla, with the lower curly accent indicating that it is pronounced like an ‘s’. The French also use joined letters or ligatures – æ and œ – which are found in common words like œil (eye) and œuf (egg). Sadly, these don’t feature on AZERTY keyboards. Add to this the fact that AZERTY keyboards require you to use two strokes each to make full-stops and numerals, and that the placement of keys varies between manufacturers, and you have a recipe for disaster. The culture ministry has commissioned the Association Française de Normalisation (AFNOR), the French national organization for standardization, to make recommendations for a new keyboard to replace the many variants of AZERTY currently on the market. One option that it could consider is the open source BEPO layout, which features dedicated keys for accented characters and simple shortcuts for ligatures. AFNOR has been tasked with issuing a proposal by this summer.